Open the door to this unit and find yourself in paradise. 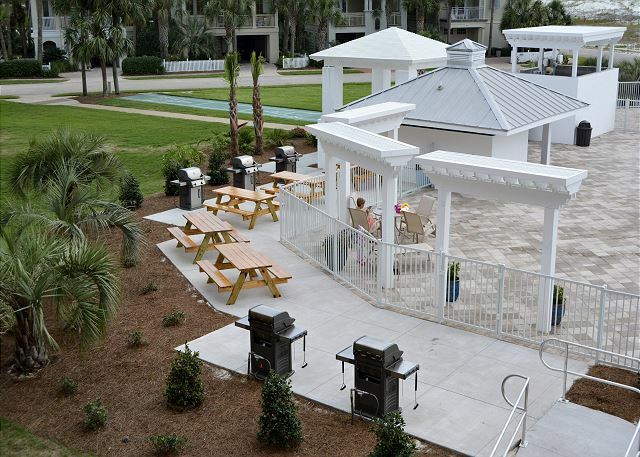 A warm welcoming view of the Destin pass will greet you at first arrival. 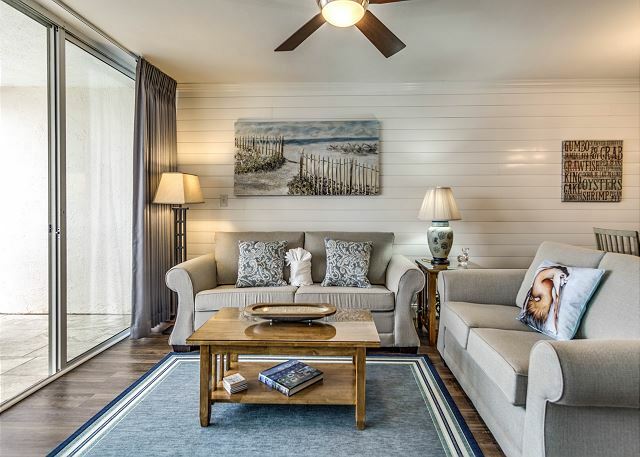 Whether you are relaxing in the living room, master bedroom or on the balcony, you will be in awe of the water views. A queen size bed in the master will await you after a long day lounging in the sun. There are also two twin beds in the guest bedroom and a queen size sleeper sofa in the living area allowing 6 guests to sleep in this unit comfortably. Magnolia House unit 310 features new furniture including Queen and Twin mattresses & box springs. 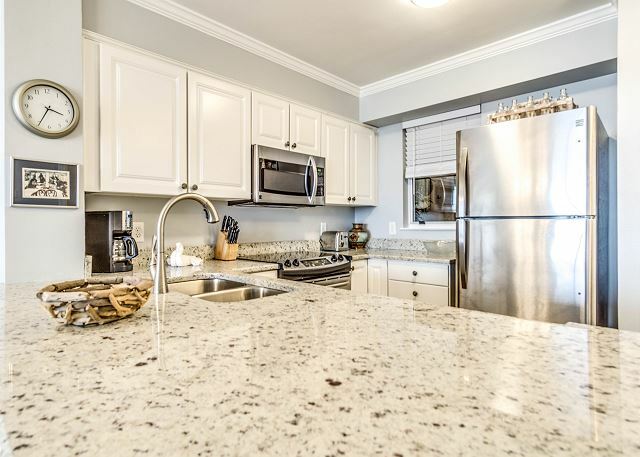 Have fun cooking dinner in the renovated kitchen with new stainless steel appliances- or drive to one of the many local eateries Destin offers! 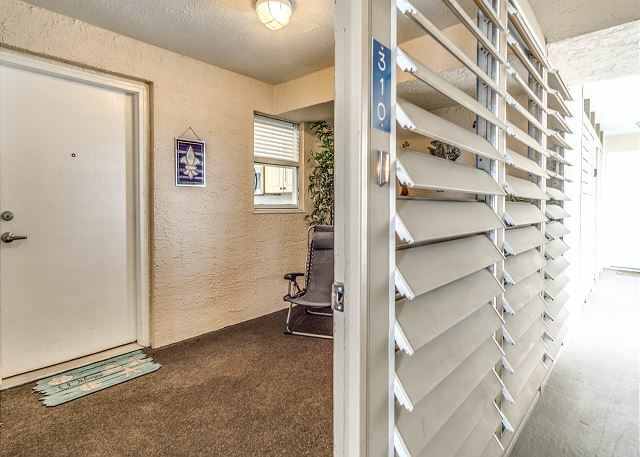 This condo makes vacationing a breeze due to its convenient location to the neighborhood's 2 beach accesses and 2 community pools- one being directly behind the condominium-the other only a short walk away. Don't feel like walking? Take the elevator or the stairs down to the ground floor and hop on the neighborhood tram! The tram runs daily (during season months) and will take you to and from the beach or pool. Stop your searching and book your vacation today! 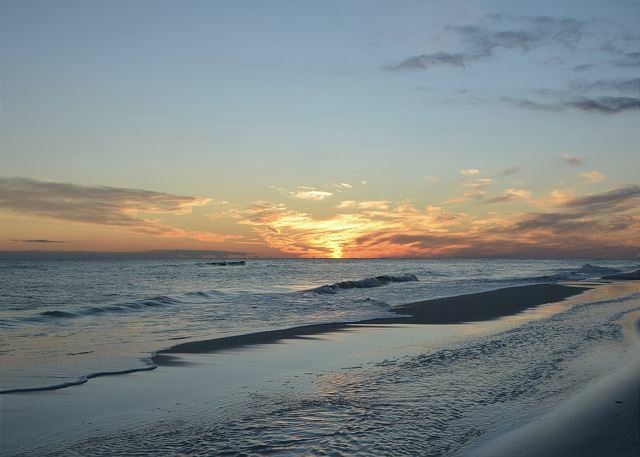 The beach is waiting with many memories to be made. Blue Marlins Vacstion Rental people always gave prompt,and friendly customer service. 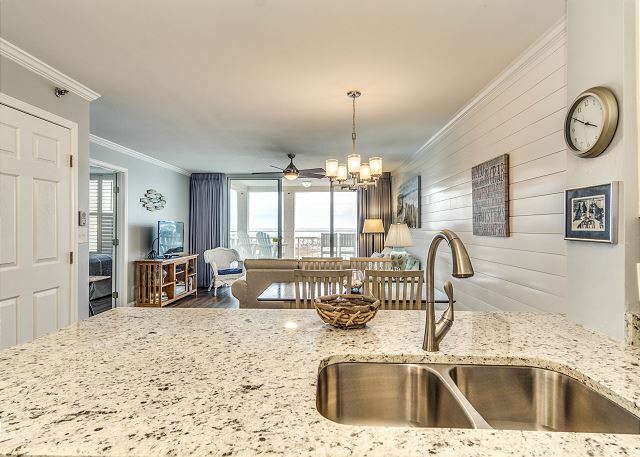 Unit #310 was very nicely furnished with an excellent view of the Gulf & Jetty. Magnolia 310 was an awesome place for 3 guys on a golf vacation weekend. Plenty of room, good water pressure, good air conditioning and a clean place. We all agreed we would certainly rent the same location again. We come to the Beach 2x per year and always stay in PCB(but due to Michael we had to relocate). You could not ask for a better, more accommodating and professional host than Blue Marlin, they are TOP NOTCH! 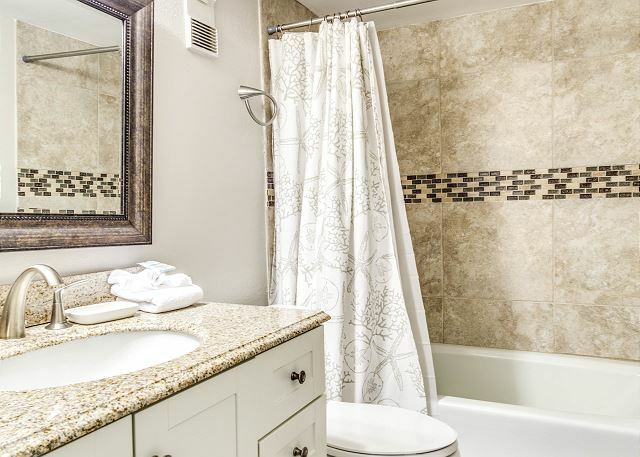 The property was very clean and well appointed. I found the bed in the Master comfortable (I know someone had mentioned they didn't like it). Everything you need to make your stay pleasant was provided. The strange entrance area was actually helpful in keeping sand out of the condo. The walk to the beach is very easy and there is a tram to pick you up and take you (March-October). My only real disappointment came from the fact that although the view was pretty, you can't hear the ocean (which is one of my favorite parts about being at the beach) all you can hear is the fountain squirting into the pool. I have no idea what this place is like in the summer but I brought teens and they were the only ones in the whole resort. It is a MUCH older crowd or very young kids with their parents. We probably won't be back once PCB is squared away but if I did I would probably consider staying at Magnolia house again BUT I WOULD DEFINATELY stay at a Blue Marlin Property again! Magnolia House is a gem of a vacation rental. 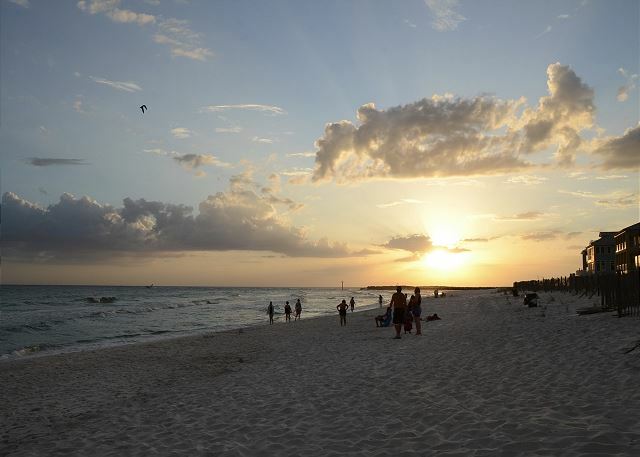 Gulf and jetties, sunrise and sunset, shells and snorkeling! Loved the boardwalk over the marsh. Lovely design on the pool areas. The shuttle was awesome (quick, reliable, friendly), so we could walk or ride whichever suited us at the moment. 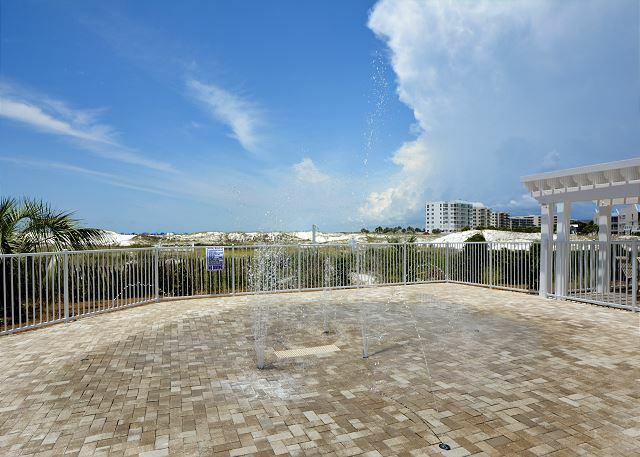 There is delightful sense of community in Destin Pointe. We hope to return in the future and Blue Marlin provided the best service of any property management company from whom I have ever rented. Little extras made a big (positive) impact on our week. Everything was perfect !!! The view is beautiful!!! Couldn’t have asked for a more perfect place to stay. I absolutely love this place! Even though I had been once before, this was my first beach vacation with my children (ages 20 &17), daughter-n- law, and 1 yr old granddaughter and we couldn't have asked for a better place. It's clean and ALL the staff is awesome. I loved it so much the first time, I requested the same unit for my 2nd trip. Will definitely be back! 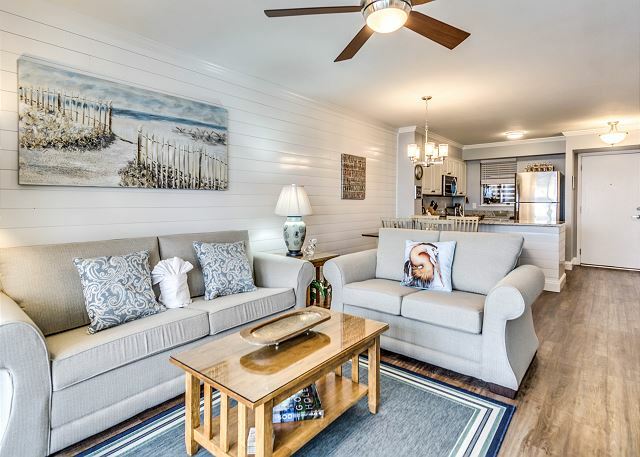 We found this awesome property after looking at many, and with the help of Jerry Sullivan (and Presley) and his team at Blue Marlin Vacation Rentals. 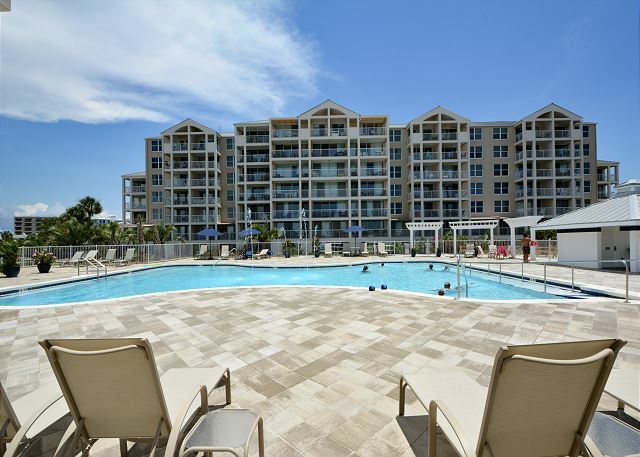 The location is absolutely the best without question and the condo and the amenities are fabulous. Very clean, updated and comfortable. We found great restaurants and entertainment minutes away. Boat, jet ski rentals, and parasailing are easily available and affordable. 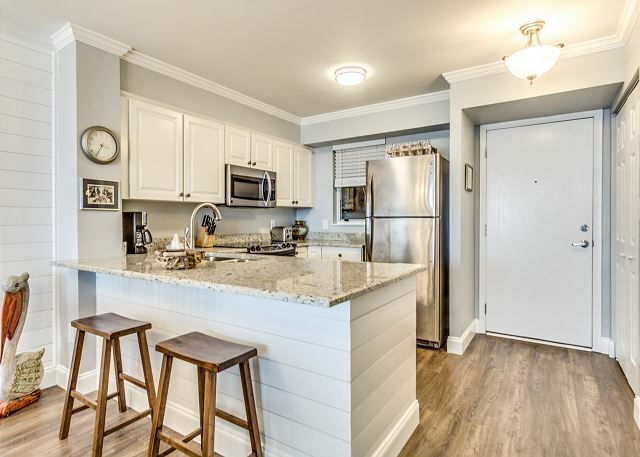 This property is great for family's and has a neighborhood feel. 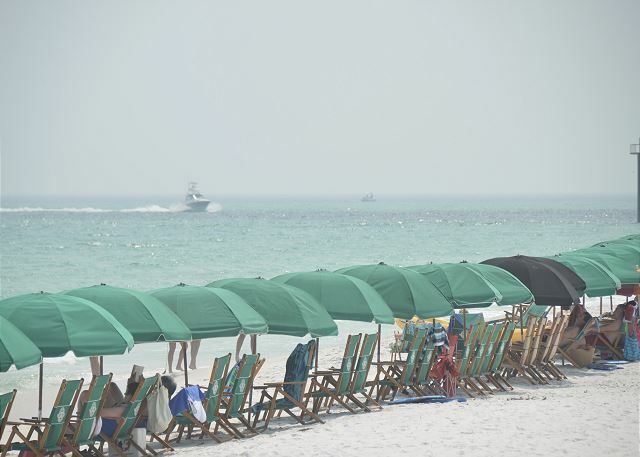 Courtesy golf car tram to the beach around Destin Pointe is fantastic, 2 beach chairs and umbrella are included and set up for guest each morning - good on the hot Florida days. Also one of the 2 pools is steps from the condo. 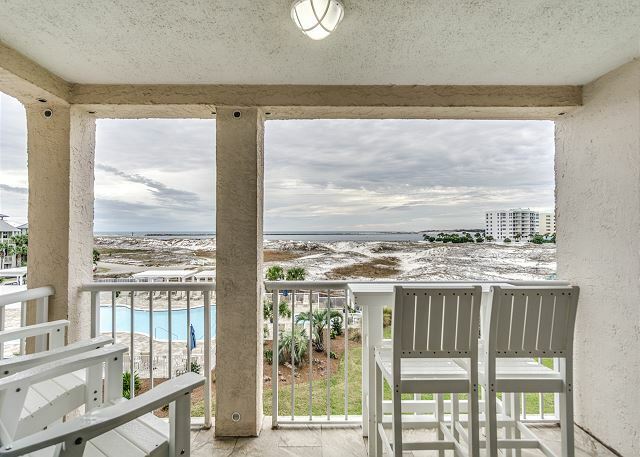 Finally, the view of the gulf and the Harbor entrance from #310 is Priceless. Really outstanding , beautiful place with first class rental experience. Property was very clean and specific unit was updated. The largest of two pools was right outside the room and getting the beach was very easy with the shuttle. We walked a few times and very short walk. I would stay again if we decide to head back to Destin. I could be wrong but the queen bed seemed more like a full. I could be wrong but it was not the most comfortable bed but still a 5* rating. We have stayed in Magnolia House several times in previous years and this was the best location by far. Excellent renovations. We were happy with our vacation in Destin. Blue Marlin is a wonderful vacation rental facility and they really went out of their way to make things easy and pleasant. The property had some condition issues like dirty carpeting and broken blinds. The condo was very well equipped, everything worked as directed and we had no real issues during the stay. 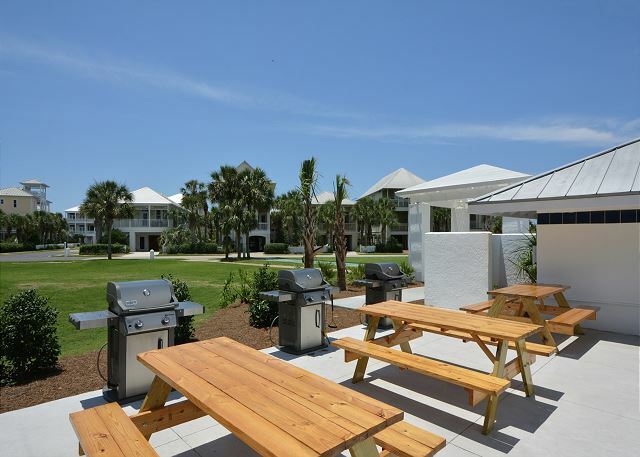 Is a great location to watch the Thursday fireworks from the balcony and eat steak cooked on the provided gas grills by the pool. Only minor issue is with trying to pick up keys. Location isn't the easiest to find unless you are looking really hard for a Century 21 office. Very relaxing and clean! Blue Marlin employees were wonderful to work with! Overall a very nice comfortable stay!